The Dolorous S/S19 Collection just dropped! The S/S19 Collection is here! Ready to see the full S/S19 collection!? Click the button below! A helpful gift guide for the women on your list. This holiday season give the gifts that they’ll love for a lifetime, and let them know how much you truly value their presence in your life. For the woman in your life who is always there and deserves a timeless piece of jewelry to accentuate her tried and true nature! These Sterling and Jade earrings are precious and will last a lifetime, just like your relationship. This bold beautiful woman deserves an accessory as show stopping as she is! She's fun and adventurous and she needs an accessory that's as versatile as she is and the Idi Harness is just that. This understated beauty may not seek out the limelight but she shines bright in your life and deserves a gift to match! Simple and subtle is her M.O. so an easy lariat style is the perfect fit! Sweet and Simple, these effortless earrings make a great gift! This Cyber Monday you can shop the entire site at 20% OFF! This time of year can be crazy overwhelming but you don't want to miss your last chance of the year to snag everything in the shop for 20% OFF! Pick up a special something for yourself, something for your BFF, or any of the amazing women in your life who you want to give a gift to this holiday season! With the holiday season right around the corner your calendar is probably filling up with parties that require a slightly more formal look. There’s no better way to step up your standard night-out look than by adding some scene stealing statement jewelry and this season the go-to accessory for the fashion crowd is a pair of bold chandelier earrings. Just take it from WhoWhatWear who recently called them “a party on your earlobes” and stated that they’ll be the reigning trend of the holiday party season! Personally I couldn’t agree more and am already planning them into all my party looks. The Inez Statement Earring has high impact without breaking the bank. These beauties pack a lot of punch for the low price of $65 and they’re ultra-lightweight and comfortable making them perfect for hitting the dance the floor. Also, who doesn’t love a glam gold look for the holiday season? The Iris Jade Drop Earrings are a modern but timeless earring that instantly elevate any look. 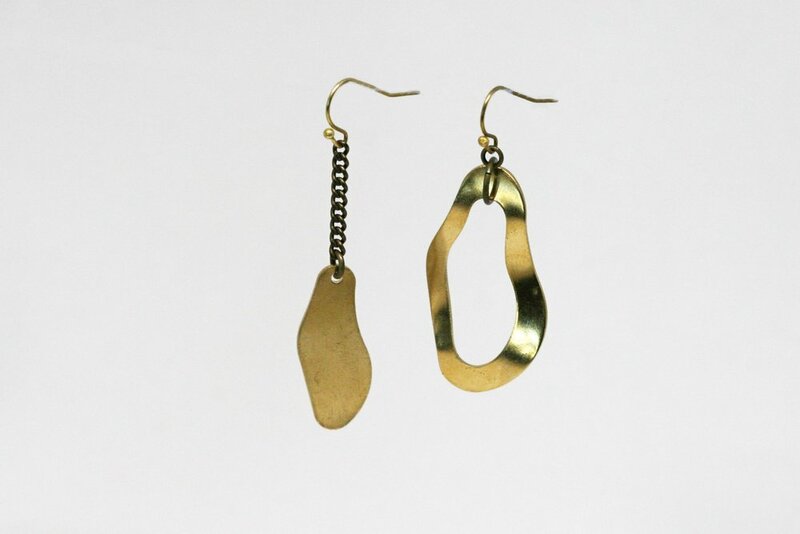 Nothing says elegance like a long drop earring, and the neutral tones make it easy to pair with almost anything! For those of you looking to add a little color to your holiday look the Idra Multi Color Statement Earrings are just what you need. These fun unique earrings are a party in accessory form! Made with beautiful Agate Crystals and golden Brass these earrings are like a wearable piece of art. Into the trend but still want to look at some other styles? Head to the site and check out all the Dolorous earrings to find a pair that’s perfect for you!